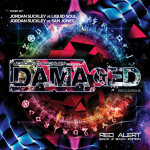 Through his “Red Alert” release late last year, Jordan Suckley spun the time-honoured mixcomp format on its head. July sees the renowned DJ, music producer & label head return to deliver a second strike of that Damaged lightning. Porting the fissionable, impulsive thrill of the b2b experience to your doorstep/desktop, July sees him inject some “Damaged Neon” into summer’s equation! 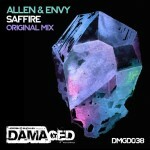 This time, going toe-to-toe with him are mix-cohorts Allen & Envy and Freedom Fighters, each Xing their own distinctly contrasting tones into Jordan’s infamously tough, fiery club ethic. Before the “Neon” ride’s over you’ll have been on the receiving end of tracks & remixes from artistic luminaries such as Tiësto & Richard Durand, as well as trance Psy-chologists including Ace Ventura, Astrix, Vini Vici & Liquid Soul. It also features the best from tougher-trance propagators, with firebrand audio from Indecent Noise, Christopher Lawrence, Sam Jones, Will Rees, Amir Hussain + others. Rest assured, with their own material, your mix-hosts won’t be leaving you short-changed either. The latest studio-ware from Jordan, Freedom Fighters and Allen & Envy muster to meet the Damaged laser too. 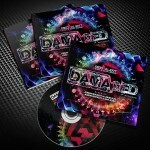 Innovative sub-genre gene-splicing for nightbreeds of numerous persuasions, “Damaged Neon” brings you trance music, the exact likes of which you’ve never heard before. 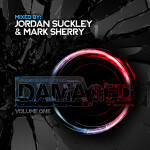 “Damaged Neon”’s first mix hits the club-floor running, with Jordan going track-for-track with fellow countrymen, Allen & Envy. Through their productions, radio show, Together Recordings label and just-completed US tour debut, the fast-on-the-rise pair have been quaking the genre’s foundations of late. Steve & Scott’s ebullient, uplifting sound proves the natural sparring partner for Jordan’s innate stylistic robustness. Early tough trance marvels like Argy’s mix of Suckley’s “Contaminated” and the tech brutalism of “Ritual” thrill. 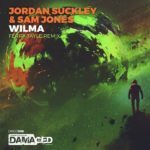 Interspersed between are the equally effective likes of Maarten de Jong’s “Clockwork”, Will Rees’ “Weapon” and Sam Jones’ latest “Unknown”. Midpoint, Jordan ups the ante with Richard Durand’s Beatport chart smashing remix of Tiësto’s “Traffic”, while Allen & Envy counter with a swathe of their own production crop – “Promises”, “Immortal” and the Dan Stone remix of “Without You” among them. Lifting the roof just that extra bit higher are Amir Hussain’s remix of Forerunners’ “Lifecycle”, “Trinity” from Chris Metcalfe and Miroslav ‘Vrilik’s ‘Backyard’, which collectively deliver the mix’s close-out blows. Not putting the cause on pause but for a moment, Mix 2 sees psy-trance centurion Freedom Fighters enter the Damaged arena. Extra quick to the lips of the Psy frat of late, the Israeli’s productions have graced the decks of a veritable Who’s Who of the genre’s adherents. From the off, FF’s own “Wasteland” and “Spiral” (in co-op with Lifeforms) redline the mix’s pace & tone. Jordan counters with “The Calling” – Vini Vici & Ace Ventura first co-production, Astrix & Tristen’s cheeky “Awake the Snake” and his own “Aztec Curse”. 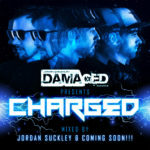 The pair deliver the final burst of fast, fun ex-psy-tation through Indecent Noise & Christopher Lawrence’s “Zulu Magic”, the Revolution 9/Amara team-up “Scolopendra” and Future Frequency’s remix of Liquid Soul’s “Revolution”. 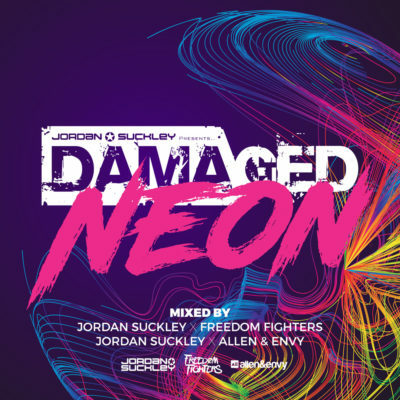 Damaged Neon mixed by Jordan Suckley, Allen & Envy and Freedom Fighters is out on July 22nd 2016! Tagged Allen & Envy, Damaged Records, Freedom Fighters, Jordan Suckley.